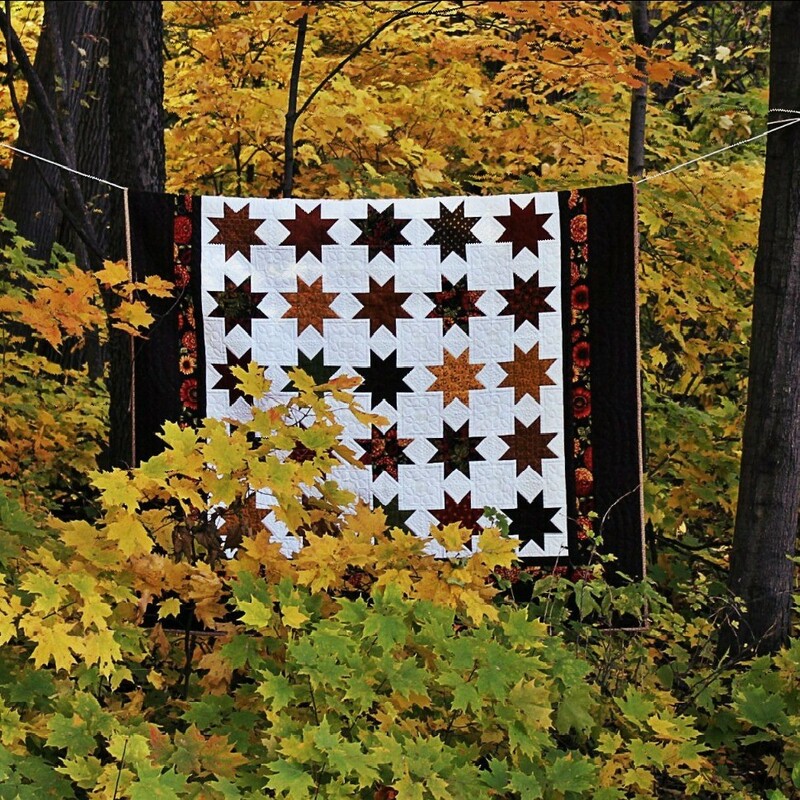 Stars are one of my favorite things to do on a quilt. In the future I want to work on a few different kinds of stars. This one was made in fall colors so I put it in a forest full of beautiful Autumn leaves so I could showcase it.